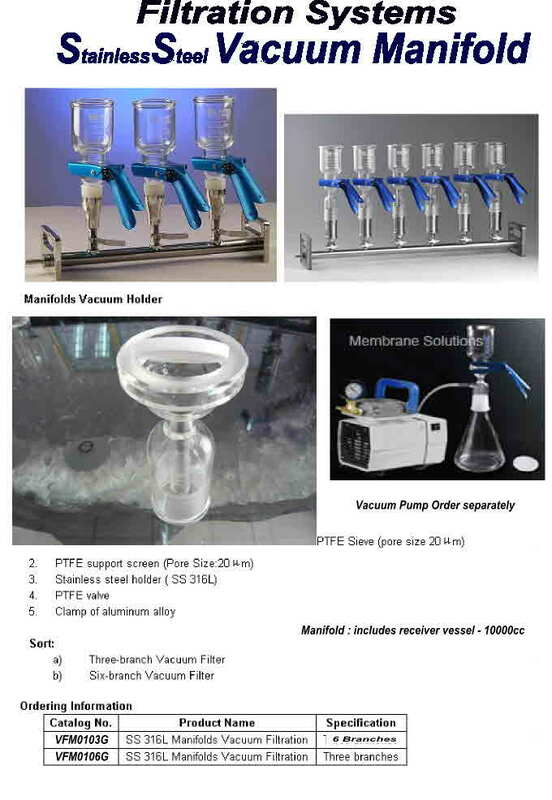 Vacuum Filtration is used in . . .
microbiological and analytical proceedures that involve collecting a particulate ( bacteria, precipitate ) from liquiid suspension. - each filter holder have individual control valve, one set vacuum pump set can sustain either a single or Multi-branch manifold filter operate together. - clamp of aluminum alloy is designed to maintain an airtight seal.